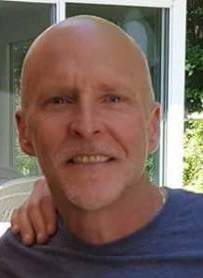 Mark Russell Arnold, 59, passed away Friday morning October 5, 2018. Mark was born on June 18th, 1959 and was raised in the Terre Haute United Methodist Church, where he was a lifetime member. Mark and Sandi were married there in 1983, and later their children Max and Molly were baptized at that church. Mark and Sandi met at Graham and began dating after their junior prom, and both graduated in 1977. Mark went on to become a member of the Marching 110 at Ohio University, inspired by his cousin Larry Ludlow. He graduated with his undergraduate and graduate degrees in 1981 and 1983. 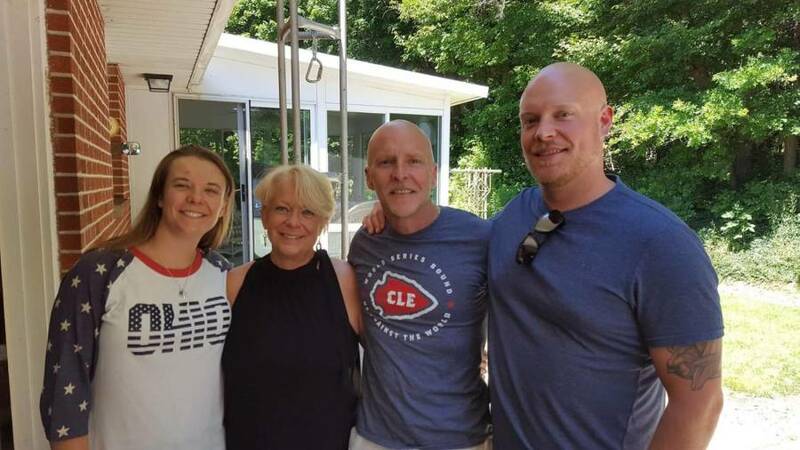 Mark and Sandi have spent a lifetime treasuring all their friends, and their Ohio University and Wittenberg friends are no exception. Mark loved to be in the company of others, and reveled in remembering birthdays and special occasions so he could laugh and visit with each and every person. He also loved old family photos and preserving them for future generations of the family. Mark is survived by his beloved parents Russell and Zelpha Arnold of Urbana, his treasured children Molly and Max, and his best friend and wife of 35 years, Sandi. He is also survived by his older brother John and his wife Teri, and their son Cyrus, along with his younger brother Scott, his wife Rhonda Renee, and their four children Regan, Seth, Taylor, and Logan. He is also survived by many favorite aunts, uncles, cousins and friends whom he loved and adored.We wish to acknowledge our dear friend and neighbor Shelley Oberlin, Sandi's girlfriends, and Max and Molly's friends, and their parents, who all bring us so much joy. Also, a special thanks to Rick Kleshinski, a very dear friend of Mark who supported him personally and professionally for many years. Mark worked for a living, but did not live to work. He also had many interests in his life that brought him great joy. In addition to his job of almost 35 years at CenturyLink, he also served the Village of Ontario as a councilman for 8 years, and volunteered at the Ohio Bird Sanctuary treasurer since the late 80s. He also rediscovered an avid love of running over the last 5 years of his life, which led him to many great personal accomplishments that he enjoyed sharing alongside family and friends. Other great joys included time spent on their pontoon boat at Clear Fork Reservoir, and absolutely any other occasion to be with Sandi, Max, and Molly.A Celebration of Life service will be held at the Terre Haute United Methodist Church on Saturday October 13th. The family will receive visitors 10 to 1 with a service by pastor Barb Pope, and Lambda Chi Alpha Brother Rick Gale at 1 p.m. In lieu of flowers, the family asks that you consider contributing to the Terre Haute United Methodist Church, 5838 High St. (Terre Haute) Urbana, Ohio 43078 or the Ohio Bird Sanctuary, 3774 Orweiler Road, Mansfield, Ohio 44903.